Soccer equipment comes in all types, from field cones and paint to clipboards and whistles and everything in between. Some of it is tailored specifically for women and girls of all ages. We’ve got girls soccer equipment such as scrimmage vests, special wristbands and more so everyone can get what they need to rock their next game. Shop now at soccerloco to get some of the best womens and girls soccer gear from industry giants like Nike, adidas, Puma and more. At soccerloco we’ve got a great selection of high-quality women’s and girls’ soccer gear that’s sure to improve your game. 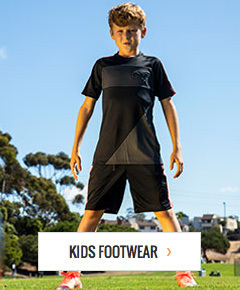 We’ve got equipment made by top names in soccer like Nike, Puma, adidas, Kwik Goal and more that you can trust to elevate your game to new heights. Whether you’re a coach leading a whole team or a solitary player, you can find the girls soccer equipment you need to get the most out of the game. Scrimmage vests, field equipment, accessories and more are waiting in our online store for you. Support Puma’s Project Pink with a durable pink wristband embroidered with the breast cancer awareness ribbon and the Women’s Professional Soccer League logo. When you shop at soccerloco, you get access to the largest selection of womens and girls soccer gear on the web as well as gear for all kinds of players and coaches. As the world’s leading online soccer retailer, we’ve got the web’s best prices on all of our girls soccer equipment. To keep bringing you the savings, we offer flat-rate shipping on all orders within the continental United States, and if you’re not completely satisfied with what you get, returns are quick and easy at soccerloco so you can send it back with no hassle. Shop with us today to get the soccer equipment you need and more at the best place to go for all your soccer needs.